Soak up the sunshine in Sorrento as you explore the home of the famous Amalfi Coast and taste a Sorrento lemon or three. 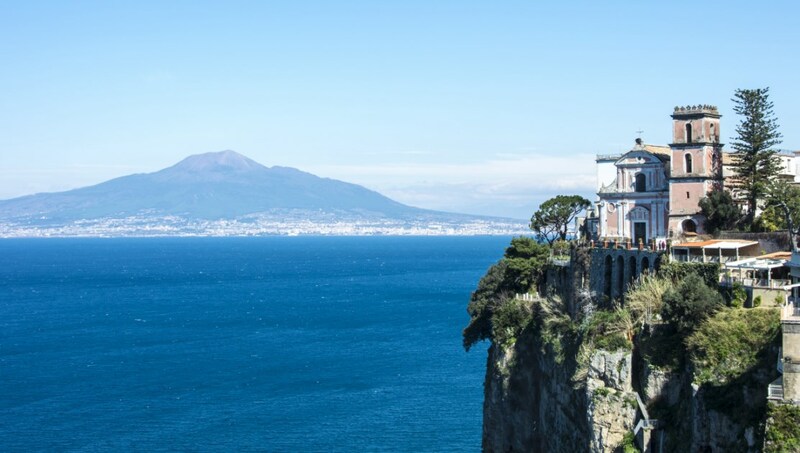 Whether you hike Mount Vesuvius or choose to lounge on the beach, Sorrento is sure to please. 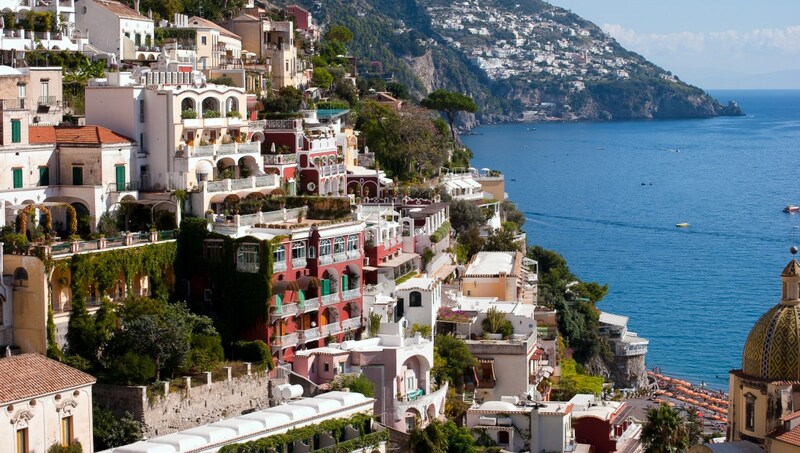 Soak up the sight of the sparkling blue horizon on the Amalfi Coast. Relax along the southern coastline of Italy on the beautiful beaches at Sorrento. A central square in Sorrento, the Piazza Tasso, is named for the poet Torquato Tasso of the 16th century. The communal space is perfect for people watching over a drink or two. If you climb to the top of Mount Vesuvius, make sure to wear comfortable shoes. Unfettered panoramic views await, and the hike is well worth your time. Mount Vesuvius is best enjoyed on a clear day, as fog can obscure the view from the peak. 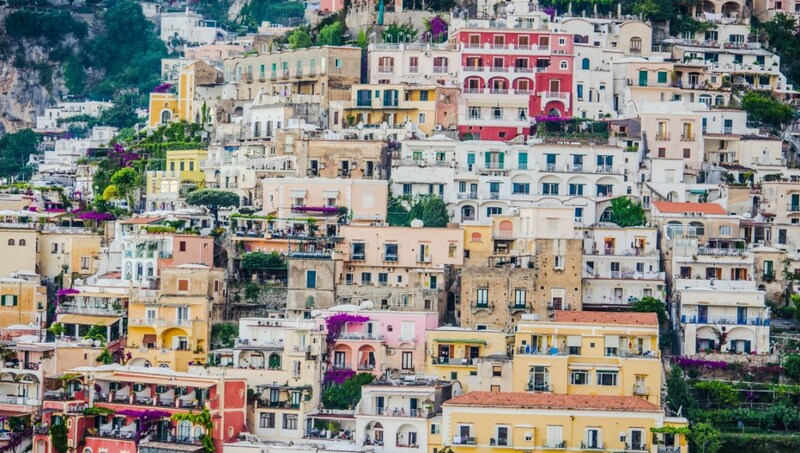 Run around the hilly landscape of the Sorrento Peninsula and take in the sweet citrus rich air, while you admire the coastline. Discover the port of Marina Grande on an evening stroll. 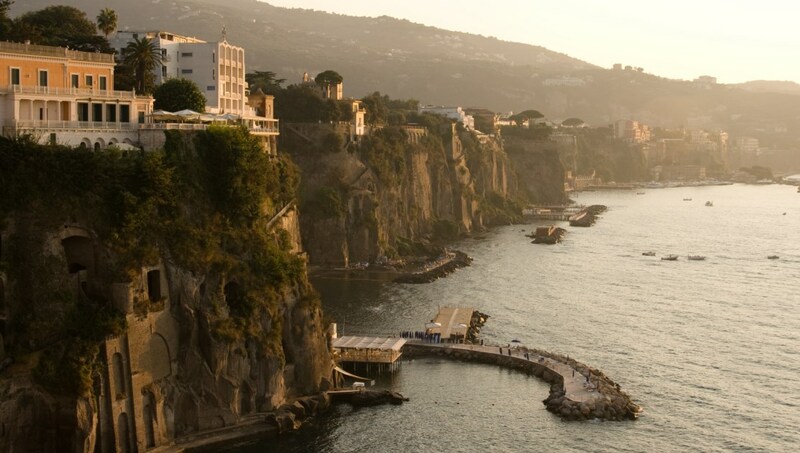 The convivial atmosphere of the Marina Grande is the perfect backdrop to watch the sunset on Sorrento as you enjoy the sounds and smells of this secluded harbor. 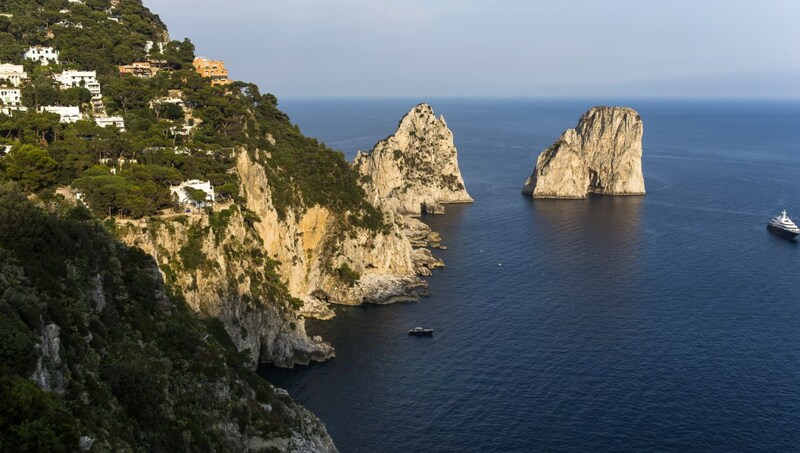 A perfect day trip--hop over to Capri from Sorrento. You can visit the beach or go boating in the Blue Grotto on the coast of Capri while exploring the historic city center. 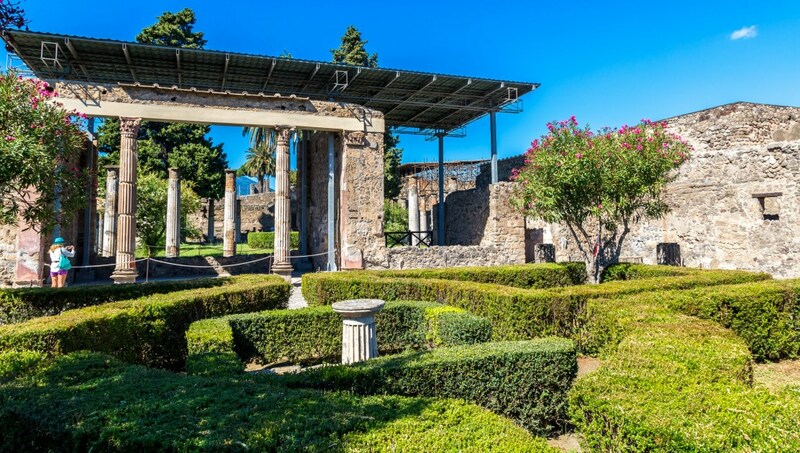 Take a train or bus to Pompeii and spend the day taking in the ruins in this historic ancient Roman city. Pompeii is a compelling archaeological site, simultaneously destroyed and preserved by the volcanic ash from Mount Vesuvius. What to eat in Sorrento? Sample a limoncello or a drink that favors the citrus flavor of a Sorrento lemon. The region has some succulent lemon trees. We also recommend trying the local olive oil while you're sightseeing in Sorrento. How to get around Sorrento? 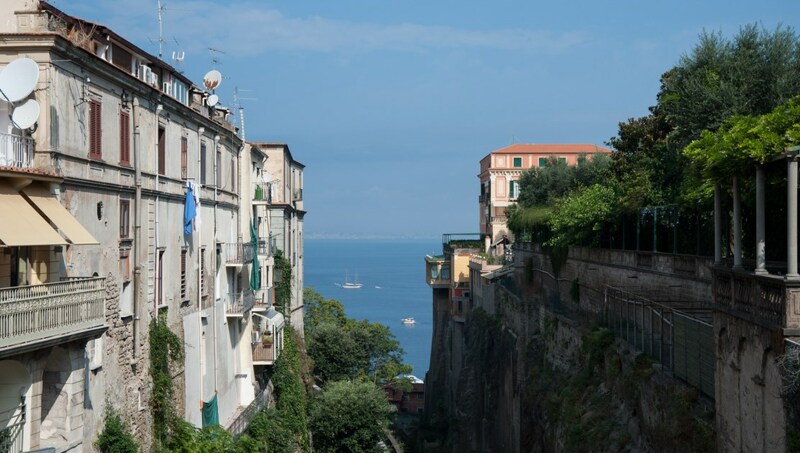 Sorrento on foot is very scenic but if your feet hurt hop onto a city bus or train. You can also hire a taxi. To take a day trip, we recommend the trains and buses, though renting a car could be a fun way to see more of the landscape. Sun-kissed summer days in Sorrento are the best days to vacation in Italy. When you plan a visit for June through August you'll find warm temperatures between 70 and 80 degrees, and plenty of daylight. Excellent, pleasant & safe drive to Naples. Vincenzo was excellent. The drive was very pleasant. He not only drove us safely to our destination, but he also threw in his "tour guide" skill!! We would highly recommend him. Thank you. Excellent tour! We were picked up at our hotel by van and we joined other group at Pompeii. There were 50 people but guide managed it quiet well. Please make sure that this tour doesnt include visit of Vesuvio. Luckily, we were able to buy this part right there. It comes with included small lunch after Pompeii.